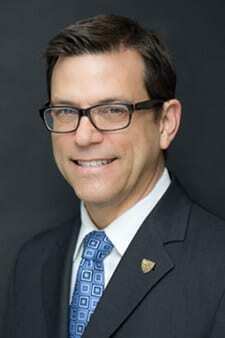 Richard G. Stevenson III earned his Doctor of Dental Surgery degree in 1986 from the UCLA School of Dentistry, where he currently heads the Restorative Section and holds the rank of Professor of Clinical Dentistry. He started a private practice in South Orange County and within a few years grew the practice to a million dollar producing practice in the height of the recession in the 1980’s. 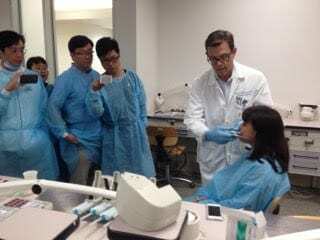 After 8 years, he sold his practice to enter a career in education at UCLA, where for the last 22 years, he has practiced aesthetic and restorative dentistry, performed research, and taught over 2,000 students and residents. He has published numerous articles in dental materials research, evidenced based dentistry and restorative techniques, including major contributions three text books, in Summitt’s: The Fundamentals of Operative Dentistry , Best Practices in Dentistry: Complications in Restorative Dentistry, and Aesthetic Implant Dentistry. He has produced many videos in restorative dentistry, and maintains memberships in numerous organizations including the American Academy of Restorative Dentistry and the Academy of Operative Dentistry. He is a frequent recipient of teaching awards, including a University-wide award in teaching excellence. His courses are always well attended with the participants raving about Dr. Stevenson’s passionate, fun and engaging teaching style.